Postcard from Pantelleria, Italy, June 2016. “We have come a long way south and it feels we are closer to Africa than Europe now. It is afternoon on the island of Pantelleria, and to be precise about the location, we are halfway between Sicily and Tunisia. Just back from Specchio di Venere, a crater lake, where made mud body masks and enjoyed hot and cold springs of the turquoise waters, we are now resting in our dammuso, which is a traditional house on the island, low, one-storey, and built from lava stone. Olive trees grow low and wide, and if you want to grow flowers or citrus fruit, you plant them inside an Arabic garden. It has high stone walls that protect the plants from the wind. 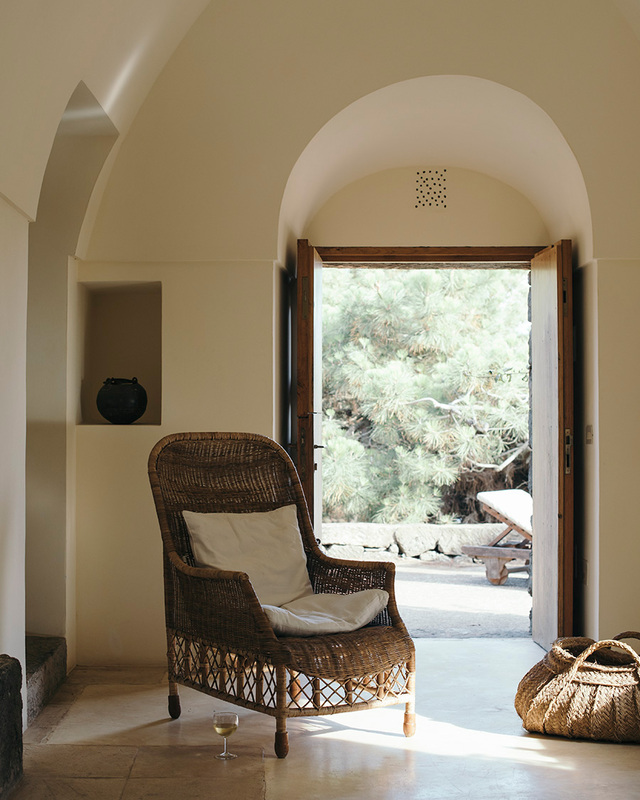 We have searched for local delicacies to try, eaten fresh fish and seafood every day, and fallen in love with Pantelleria capers. They are these delicious large plumps stored in salt, instead of water, and they have so much flavor that once you taste them you can never go back to the bulk supermarket quality. We have tasted local wines made of Zibibbo grapes, that belong to the muscat family. Zibibbo shows its crisp and fresh side when grown in volcanic soil, aged in steel and served chilled, though a lot of the grapes are used for making sweet dessert wine.